It should preferably be a package available in Debian. The wonderful diagram displayed above is taken from the Linux kernel documentation. I cannot believe they were created by hand. There must be some tool to create them. I've used asciio for several years. 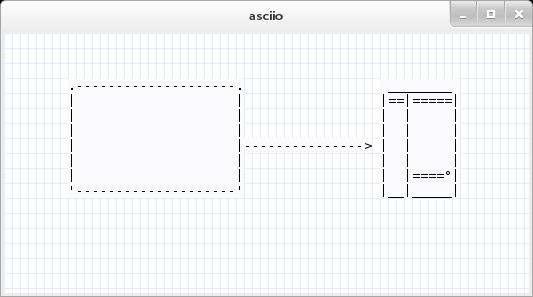 Many of the diagrams on this site I've created using asciio. NOTE: Everything is driven from the right click menu as well as short-cut keys. Using vim along with the DrawIt plugin you can also create basic diagrams. A good overview of how to install and use it is available here in this article titled: How To Create ASCII Drawings in Vim Editor (Draw Boxes, Lines, Ellipses, Arrows Inside Text File). There's a website called asciiflow which is probably the easiest way to draw these types of diagrams. 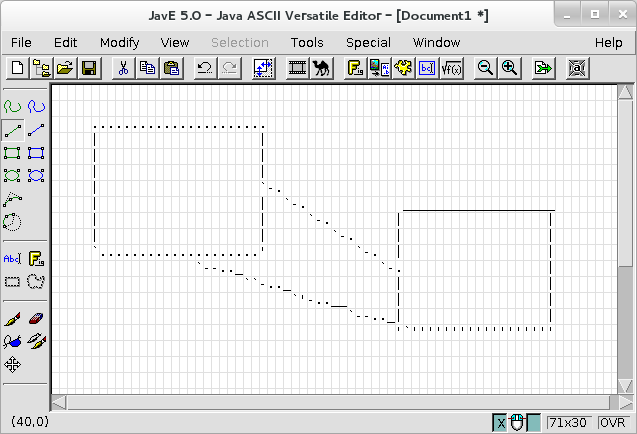 Another tool, JavE, written in Java that can create ascii diagrams like this as well. Have a look at artist-mode or picture-mode for Emacs (see also this screencast). You might also want to check out ditaa. Maybe you will be interested in graph-easy. Some nice screenshots are available on the pages of lddot and dothost (because both tools are wrappers for graph-easy). Not the answer you're looking for? Browse other questions tagged text graph ascii-art or ask your own question. How to change encoding from Non-ISO extended-ASCII text, with CRLF line terminators to UTF-8?